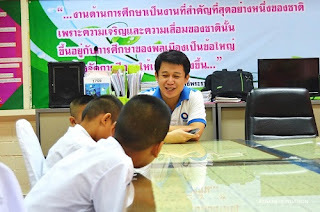 TISCO Foundation: ติดตามผลทุนการศึกษาโรงเรียนวัดสิตาราม - TISCO Foundation followed up he scholarship program at the Wat Sitaram School yesterday. 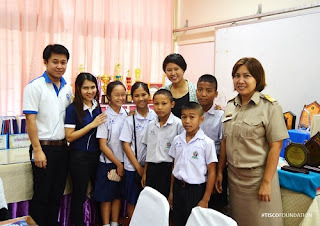 ติดตามผลทุนการศึกษาโรงเรียนวัดสิตาราม - TISCO Foundation followed up he scholarship program at the Wat Sitaram School yesterday. TISCO Foundation followed up he scholarship program at the Wat Sitaram School yesterday. 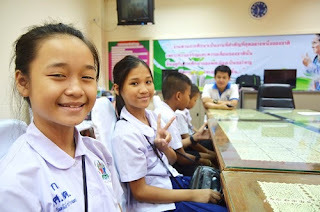 There are five scholarship students. This is the first year that they have received a scholarship from TISCO Foundation. Most of them plan to save this scholarship for their future education.